Elton Simpson was an American-born ISIS supporter who attacked a “Draw Muhammad” cartoon contest in Garland, Texas, on May 3, 2015, alongside Nadir Soofi. The pair shot and wounded a security guard with AK-47s before they were both shot dead by police.“Phoenix Man Convicted of Conspiracy to Support ISIL and Other Terrorism-Related Offenses,” U.S. Department of Justice, March 17, 2016, https://www.justice.gov/opa/pr/phoenix-man-convicted-conspiracy-support-isil-and-other-terrorism-related-offenses. ISIS swiftly claimed responsibility for the attack and referred to Simpson and Soofi as its “soldiers.”Holly Yan, “Texas attack: What we know about Elton Simpson and Nadir Soofi,” CNN, May 5, 2015, http://www.cnn.com/2015/05/05/us/texas-shooting-gunmen/. Dan Frosch and Ana Campoy, “One of Texas Gunmen Had Previously Drawn FBI’s Attention,” Wall Street Journal, May 4, 2015, http://www.wsj.com/articles/one-of-texas-gunmen-had-previously-drawn-fbis-attention-1430753373. In the hours before the May 3, 2015, attack, Simpson pledged allegiance to ISIS leader Abu Bakr al-Baghdadi over Twitter.“Two California Men Arrested on Charges of Conspiring to Provide Material Support to ISIL,” U.S. Department of Justice, May 22, 2015, https://www.fbi.gov/contact-us/field-offices/losangeles/news/press-releases/two-california-men-arrested-on-charges-of-conspiring-to-provide-material-support-to-isil. Police suspect that Simpson used a Twitter account with a profile picture featuring the late al-Qaeda in the Arabian Peninsula (AQAP) propagandist Anwar al-Awlaki. Awlaki had repeatedly endorsed violence against cartoonists who allegedly insulted Islam’s Prophet Muhammad.Manny Fernandez, Richard Perez-Pena, and Fernanda Santo, “Gunman in Texas Shooting Was F.B.I. Suspect in Jihad Inquiry,” New York Times, May 5, 2015, http://www.nytimes.com/2015/05/05/us/garland-texas-shooting-muhammad-cartoons.html. Colleen Curry, “A British Mother Reportedly Left Welfare Behind and Is Now Helping Recruit For The Islamic State,” Vice News, December 22, 2014, https://news.vice.com/article/a-british-mother-reportedly-left-welfare-behind-and-is-now-helping-recruit-for-the-islamic-state. Almost immediately following the attack, Hussain praised Simpson and Soofi on Twitter and called for death to “those that Insult the Prophet.”Evan Perez, Pamela Brown, and Jim Sciutto, “Texas attacker had private conversations with known terrorists,” CNN, May 7, 2015, http://www.cnn.com/2015/05/07/politics/fbi-warning-elton-simpson-cartoon-event-attack/index.html. “Former Member of U.S. Navy Sentenced to 10 Years in Federal Prison for Disclosing Classified Information,” U.S. Department of Justice, April 3, 2009, https://www.justice.gov/opa/pr/former-member-us-navy-sentenced-10-years-federal-prison-disclosing-classified-information. In 2009, while under FBI surveillance, Simpson purchased a plane ticket to South Africa to allegedly attend a religious school. In a conversation recorded by the FBI, Simpson told a friend that the school was a “front,” and that he would join a terror group in Somalia at the earliest convenience. Simpson later denied any intention to travel to Somalia in an interview with the FBI.Dan Frosch and Ana Campoy, “One of Texas Gunmen Had Previously Drawn FBI’s Attention,” Wall Street Journal, May 4, 2015, http://www.wsj.com/articles/one-of-texas-gunmen-had-previously-drawn-fbis-attention-1430753373. Simpson was arrested in January 2010 on charges of lying to federal agents in connection with terrorism. He was convicted in March 2011 for falsifying information in relation to domestic and international terrorism, and placed on three years of probation. According to the court, prosecutors had not proven that Simpson’s travel plans were “sufficiently ‘related’ to international terrorism.” Simpson’s former public defender, Kristina Sitton, told CNN that she did not observe any signs of radicalization while meeting with Simpson in the Somalia case. Instead, she described Simpson as “kind-hearted” and “respectful.”Holly Yan, “Texas attack: What we know about Elton Simpson and Nadir Soofi,” CNN, May 5, 2015, http://www.cnn.com/2015/05/05/us/texas-shooting-gunmen/. Simpson was reportedly added to the federal no-fly list after the sentencing.Dan Frosch and Ana Campoy, “One of Texas Gunmen Had Previously Drawn FBI’s Attention,” Wall Street Journal, May 4, 2015, http://www.wsj.com/articles/one-of-texas-gunmen-had-previously-drawn-fbis-attention-1430753373. Ahead of the Garland attack, Simpson had reportedly been in contact via Twitter with propagandist Muhammad Abdullahi Hassan, a.k.a. Mujahid Miski. Ten days before the attack, Miski praised the January 2015 Charlie Hebdo shooting over Twitter and said, “It’s time for brothers in the #US to do their part.” Miski then told Simpson, “One individual is able to put a whole nation onto it’s [sic] knees.”Brian Ross, Rhonda Schwartz, Randy Kreider, and James Gordon Meek, “The American Terror Recruiter’s Link to Texas Shooting,” ABC News, May 5, 2015, http://abcnews.go.com/US/american-terror-recruiters-link-texas-shooting/story?id=30827653. Simpson also reportedly communicated over Twitter with suspected ISIS supporter Erick Jamal Hendricks of North Carolina. Hendricks was arrested on August 4, 2016, after he allegedly attempted to purchase an AK-47 and ammo from an undercover law enforcement officer.“North Carolina Man Charged with Conspiring to Provide Material Support to ISIL,” U.S. Department of Justice, August 4, 2016, https://www.justice.gov/opa/pr/north-carolina-man-charged-conspiring-provide-material-support-isil. After the Garland attack, Simpson’s former attorney, Sitton, said that Simpson had “seemed pretty normal” and “harmless” when she represented him. Minutes before he and Soofi carried out the Garland attack, Simpson tweeted, “May Allah accept us as mujahideen,” with the hashtag #Texasattack.‘Profile: Texas gunmen Elton Simpson and Nadir Soofi,” BBC News, May 5, 2015, http://www.bbc.com/news/world-us-canada-32582704. IbrahimDan Frosch and Ana Campoy, “One of Texas Gunmen Had Previously Drawn FBI’s Attention,” Wall Street Journal, May 4, 2015, http://www.wsj.com/articles/one-of-texas-gunmen-had-previously-drawn-fbis-attention-1430753373. Sharia is LightManny Fernandez, Richard Perez-Pena, and Fernanda Santo, “Gunman in Texas Shooting Was F.B.I. Suspect in Jihad Inquiry,” New York Times, May 5, 2015, http://www.nytimes.com/2015/05/05/us/garland-texas-shooting-muhammad-cartoons.html. 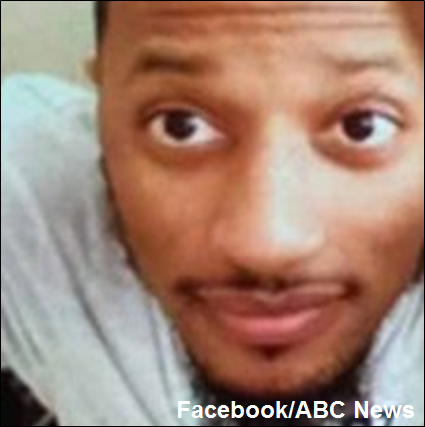 Elton Simpson was an American-born ISIS supporter who attacked a “Draw Muhammad” cartoon contest in Garland, Texas, on May 3, 2015, alongside Nadir Soofi. “If you get shot, or you get killed, it’s [heaven] straight away…You try to make us become slaves to man? No we slave to Allah, we going to fight you to the death.”Lydia Warren and Rob Crilly, “‘We're here to go to Heaven so why not get shot?’ Chilling recorded conversations of American Muslim who opened fire on anti-Islam event in Texas,” Daily Mail (London), May 4, 2015, http://www.dailymail.co.uk/news/article-3067293/Chilling-recorded-conversations-American-Muslim-opened-fire-anti-Islam-event-Texas.html. “It’s time to go to Somalia, brother. We gonna make it to the battlefield. It’s time to roll.”Dan Frosch and Ana Campoy, “One of Texas Gunmen Had Previously Drawn FBI’s Attention,” Wall Street Journal, May 4, 2015, http://www.wsj.com/articles/one-of-texas-gunmen-had-previously-drawn-fbis-attention-1430753373. “May Allah accept us as mujahideen.”Holly Yan, “Texas attack: What we know about Elton Simpson and Nadir Soofi,” CNN, May 5, 2015, http://www.cnn.com/2015/05/05/us/texas-shooting-gunmen/.